Today’s flavor of capitalism is increasingly about the flow of data and arbitrage determined by who has it,who doesn’t and the who can process it. This entry was posted in #Automation, #Business, #Caribbean, #Code, #Entrepreneur, #fintech, #Infrastructure, #Philosophy, #Tech Business on May 30, 2017 by Stanford. This entry was posted in #3D Printing, #Automation, #Caribbean, #Code, #Entrepreneur, #Geek, #Hardware Hacking, #Infrastructure, #IOT, #Islandgeek, #Linux, #Maker, #Open Hardware, #Open Source, #RasperryPi, #Robotics, #Tech Lifestyle, #Techlab on May 25, 2017 by Stanford. 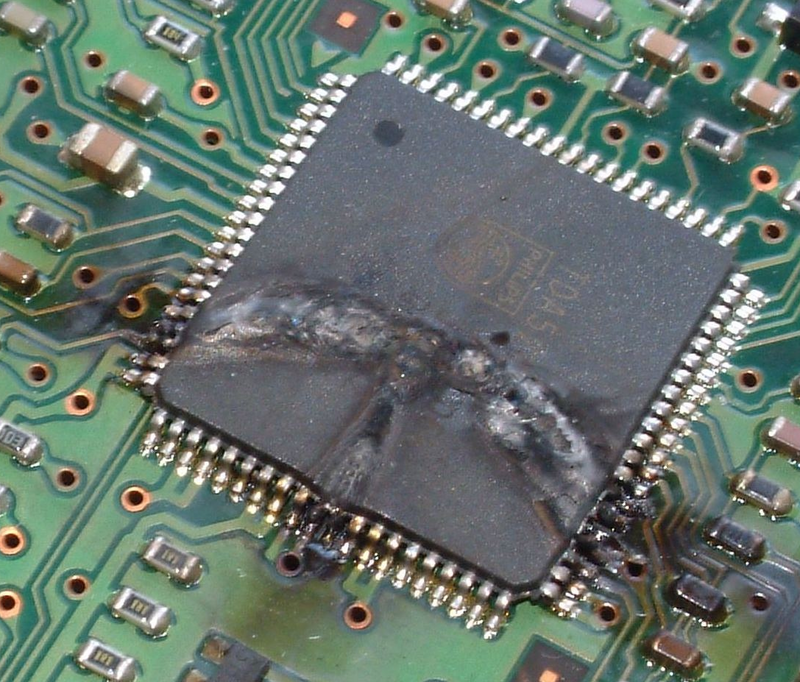 Why do electronics die ? A great video on electronic devices and their frailness. This entry was posted in #Business, #Entrepreneur, #Enviroment, #Future, #Hardware Hacking, #infosec, #Infrastructure, #IOT, #Maker, #Open Hardware, #physics, #RasperryPi, #Robotics, #Science, #Software, #Tech Business, #Tech Lifestyle, Mobile Lifestyle on May 20, 2017 by Stanford. While I see Bitcoin as a game changer for Fintech, the blockchain is the real revolution. This entry was posted in #Automation, #bitcoin, #blockchain, #Business, #Caribbean, #Code, #Entrepreneur, #fintech, #Future, #Hacking, #Infrastructure, #Internet Culture, #IOT, #Maker, #Open Hardware, #Open Source, #Philosophy, #Robotics, #Sci-Fi, #Science, #Software, #Tech Business, #Tech Lifestyle, Society on May 18, 2017 by Stanford. I use this script to get alerts from some systems to insure they are still up. It gives me local IP address, hostname and the WAN IP for the network. This entry was posted in #*nix, #Automation, #Business, #Code, #FreeBSD, #Geek, #Infrastructure, #IOT, #Linux, #Open Source, #RasperryPi, #Software, #Tech Business on May 12, 2017 by Stanford. There are 3 areas of Physics. Applied physics is physics which is intended for a particular technological or practical use. It is usually considered as a bridge or a connection between physics and engineering. Experimental physics is the category of disciplines and sub-disciplines in the field of physics that are concerned with the observation of physical phenomena and experiments. Methods vary from discipline to discipline, from simple experiments and observations, such as the Cavendish experiment, to more complicated ones, such as the Large Hadron Collider. Theoretical physics is a branch of physics that employs mathematical models and abstractions of physical objects and systems to rationalize, explain and predict natural phenomena. This is in contrast to experimental physics, which uses experimental tools to probe these phenomena. I fall into the first area, Applied Physics and partially the second, Experimental. I fall into those areas because I need to be able to repeat my findings and expect them to remain the same. Any change is an indicator that the system has changed. This entry was posted in #Entrepreneur, #Maker, #physics, #Science on May 9, 2017 by Stanford. Still interested in College ? Study either liberal arts, biotech or a robotic engineering. This entry was posted in #AI, #Automation, #Business, #Caribbean, #Entrepreneur, #Future, #Infrastructure, #Philosophy, #Robotics, #Sci-Fi, #Science, #Software, #Tech Business, #Tech Lifestyle, #Transhumanism on May 9, 2017 by Stanford. The U.S. military’s experimental X-37B space plane landed on Sunday at NASA’s Kennedy Space Center in Florida, completing a classified mission that lasted nearly two years, the Air Force said. The unmanned X-37B, which resembles a miniature space shuttle, touched down at 7:47 a.m. EDT (1147 GMT) on a runway formerly used for landings of the now-mothballed space shuttles, the Air Force said in an email. This entry was posted in #AI, #Automation, #Future, #Geek, #Philosophy, #Robotics, #Science, #Security, #Surveillance, #Tech Business, Space on May 7, 2017 by Stanford. Tired of losing the USB adapters !! This entry was posted in #Business, #Entrepreneur, #Geek, #Hardware Hacking, #Islandgeek, #ITNinjaSkills, #Layer8, #Tech Business, #Techlab on May 6, 2017 by Stanford. This entry was posted in #AI, #Arduino, #Business, #Caribbean, #Entrepreneur, #Ethics, #Future, #Maker, #Open Hardware, #Open Source, #Robotics, #Tech Business on May 2, 2017 by Stanford. Should a self-driving car kill the baby or the grandma? Depends on where you’re from. Richard Callwood III on New Capitalism ? antoinette johnsom on Tech in the Caribbean ……….